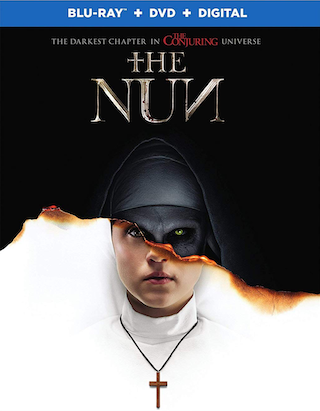 The 2018 Corin Hardy directed horror film “The Nun“ is officially coming to Blu-ray Disc on December 4th via Warner. The film, part of “The Conjuring” universe, features a cast of Demián Bichir, Taissa Farmiga, Jonas Bloquet, Bonnie Aarons, Ingrid Bisu, Charlotte Hope, and Sandra Teles. Tech specs for the Blu-ray release include 1080p HD video in the 2.4:1 aspect ratio with both Dolby Atmos and DTS-HD 5.1 Master Audio sound options. The release will come in the form of a “combo pack” with a DVD and Digital Copy of the film included. The Blu-ray is already available for PRE-ORDER over at Amazon. Bonus materials slated to be included on the release are listed below.